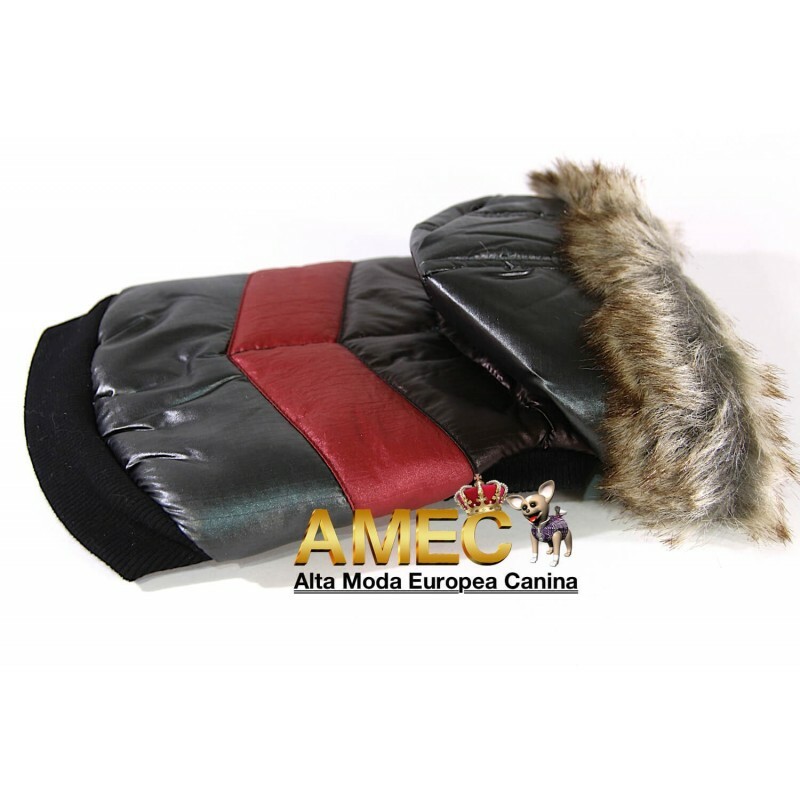 The Metallic Stripe Vest is designed keep your Pet protected against the harsh cold temperatures. The Extreme is made with the best quality materials. 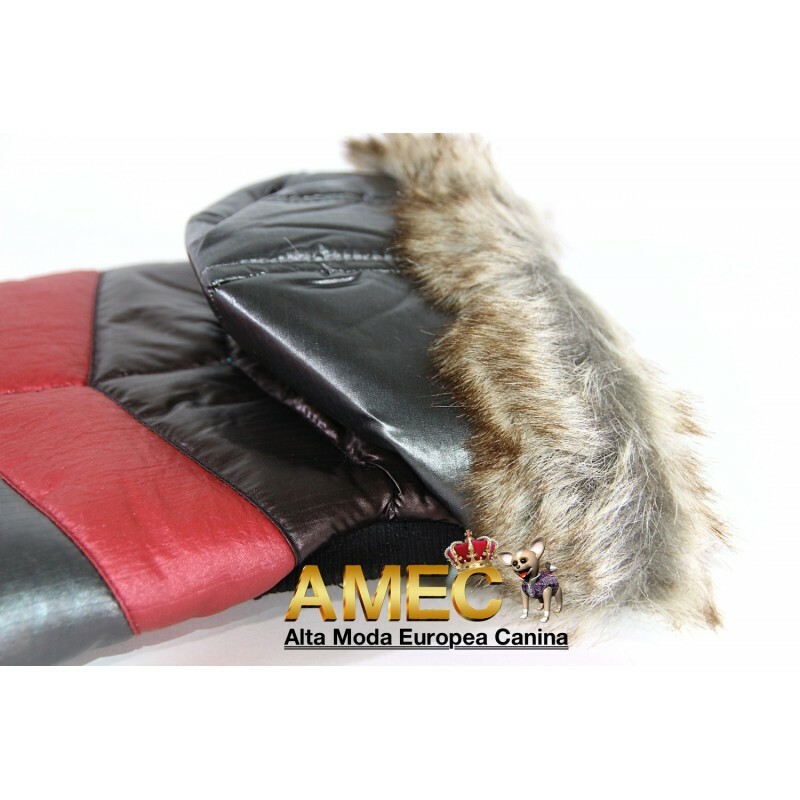 Outer shell is made from High Density PU coated Nylon. This fabric has great performance properities, it is 100% wind and waterproof, great elastic properties. Your Pet will be Dry, Warm and Comfortable. This stylish Metallic Stripe Vest is made fdrom High Density Nylon. Each style with several Metallic coloured fabric, each carefully sewn together. 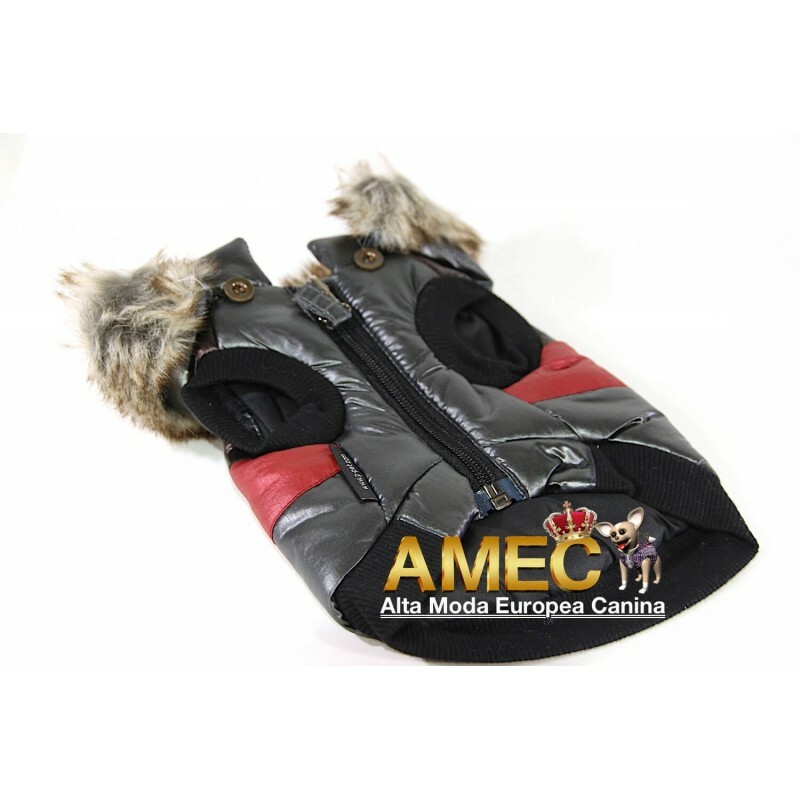 Metallic Stripe Vest is designed with an easy to remove Fux Fur hoodie. 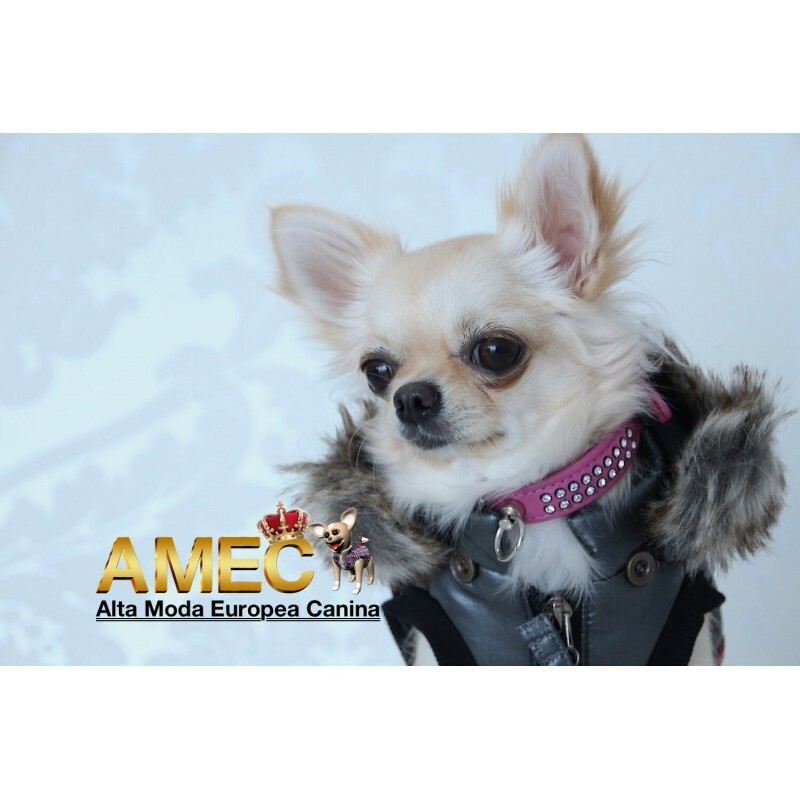 Hoodie is made with elastic which can be secured or removed from the buttons. 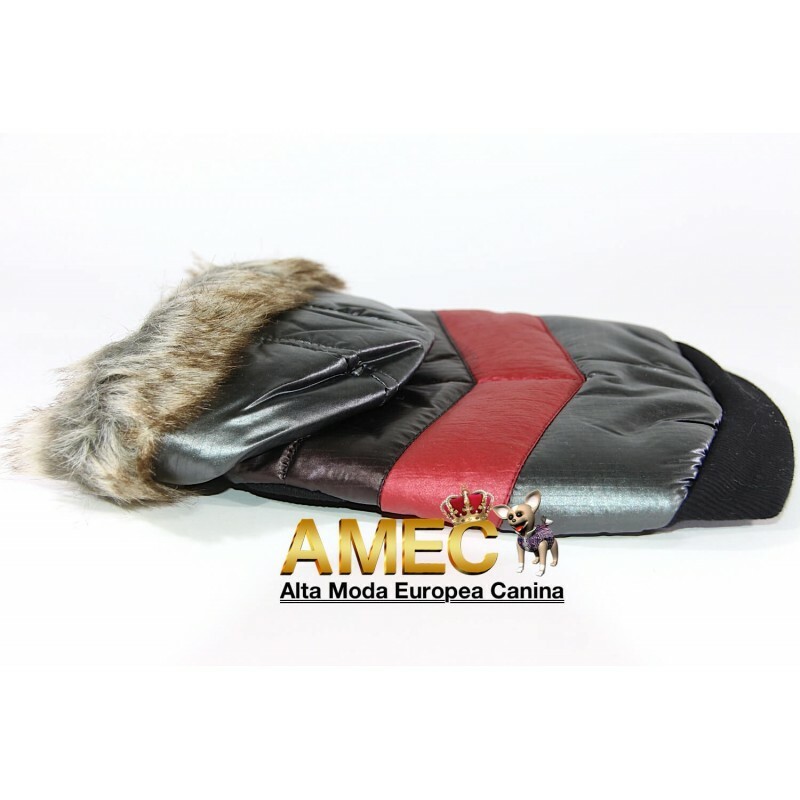 All trimings are made from 100% cotton for longer durability.